If you are an artist you have both and at some point in your career you paint them. Mob Rules was a nightmare, one that haunted Greg for many years. In the 1970's he finally painted it and in 1981 Black Sabbath wanted it for their album cover of Mob Rules. Now that seemed to work out well for both of them. The album was a great success and it was voted #1 Heavy Metal Cover of all time by Imagine FX magazines fans. Greg never had the nightmare again after he painted it. 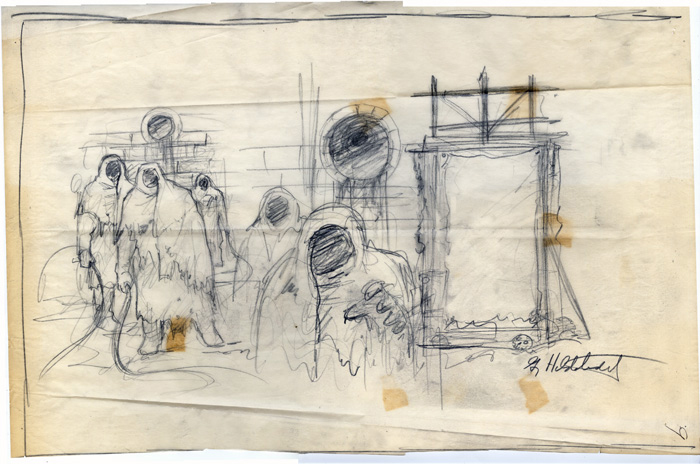 This piece is one of the original preliminary sketches for the final image that would become Mob Rules.